Two tragedies had now befallen the H. L. Hunley. The sinkings and visible recovery efforts that followed had created quite a stir in Charleston. 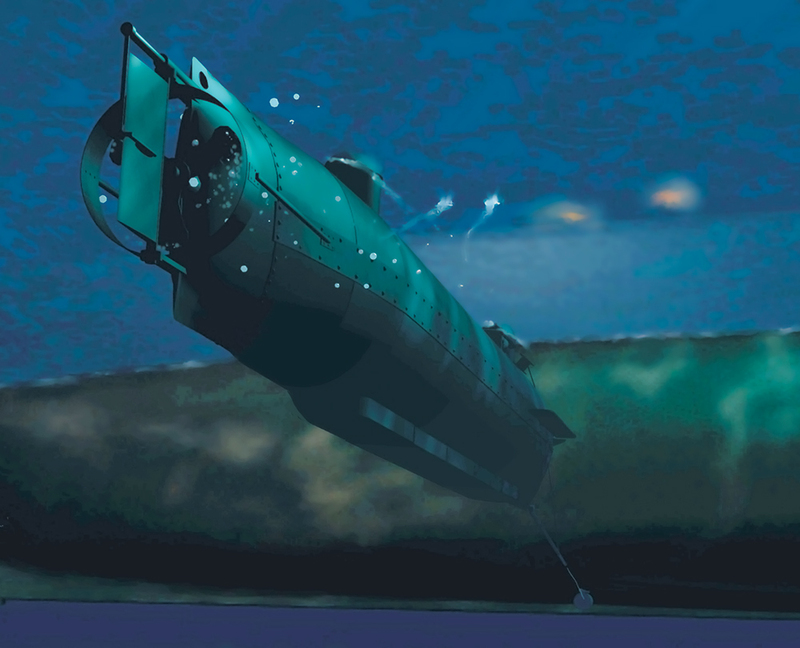 It was not long before Rear Admiral John Dahlgren, the head of the Union blockading fleet, learned of the diving submarine from Confederate deserters. In response, Dahlgren ordered his blockading squadron to anchor in shallow water, hang ropes and chains over their sides as defensive measures, and deploy picket craft to keep torpedo-bearing boats away. These clever tactics were also the genesis of anti-submarine countermeasures. 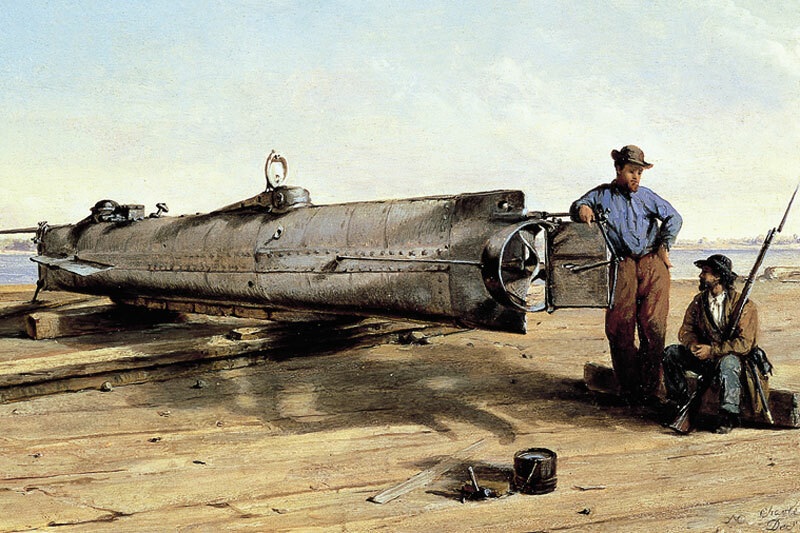 Confederate General Beauregard was reluctant to put the Hunley back in service, writing: “It is more dangerous to those who use it than to the enemy.” Still, the submarine had persuasive backers including Lieutenants George Dixon and William Alexander, both of whom passionately believed she could be successful in breaking the blockade. Even they knew the Hunley had to be modified if she were to be successful. 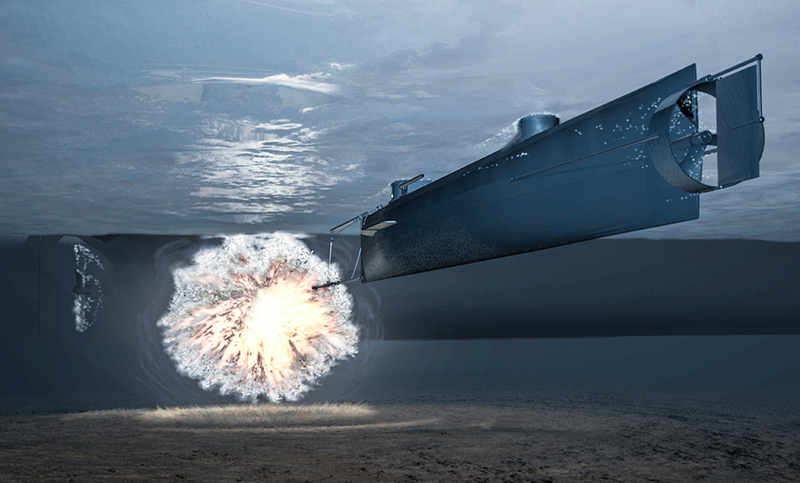 The Union’s anti-submarine moves coupled with the difficulty of controlling the Hunley’s depth and pitch while submerged led them to completely rethink the mode of attack. Towing an explosive device was abandoned for a more direct approach. A spar with a torpedo attached to its tip was mounted to the lower bow of the submarine. In this design, the plan was to ram the spar into the hull of an enemy ship, detonating the torpedo either on contact or by a trigger-pulled device. It was perhaps efficient, but, with a sixteen-foot spar, it left the crew dangerously close to the explosion. There was little time, if any, to test the new attack strategy. Even though General Beauregard was reluctant, he finally agreed to let the Hunley try again, but only if the submarine did not dive and operated at the surface. With the dangers of the submarine well-known, a new, courageous volunteer crew was selected and put under the command of Lieutenant Dixon. Soon the vessel would be ready to carry out its mission. On a moonlit night in February, 1864, the crew of the Hunley was given the calm sea they had waited for and embarked on their ambitious attack. The target was the USS Housatonic, one of the Union’s mightiest and newest sloops-of-war. Image courtesy of Dan Dowdey. The Hunley’s approach was stealth and by the time they were spotted, it was too late. At about 8:45pm, several sailors on the deck of the USS Housatonic reported seeing something on the water just a few hundred feet away. The officer on the deck thought it might be a porpoise, coming up to blow. As the object approached the ship, the crew realized it was no porpoise. The alarm sounded and the sailors fired their guns, the bullets pinging off the metal hull of the Hunley. Below the surface, the spar torpedo detonated and the explosion blew a hole in the ship. The Housatonic sank in less than five minutes, causing the death of 5 of its 155 crewmen. Nearly 45 minutes later, a Union sailor claimed he saw a blue light on the water. Some speculate this was the last reported sighting of the Hunley for more than a century. One record indicates Dixon had promised the troops at Battery Marshall, if successful, he would signal to shore by showing two blue lights. The Confederates on Sullivan’s Island say they saw the agreed upon signal and lit a fire to guide the Hunley home, but she never returned. 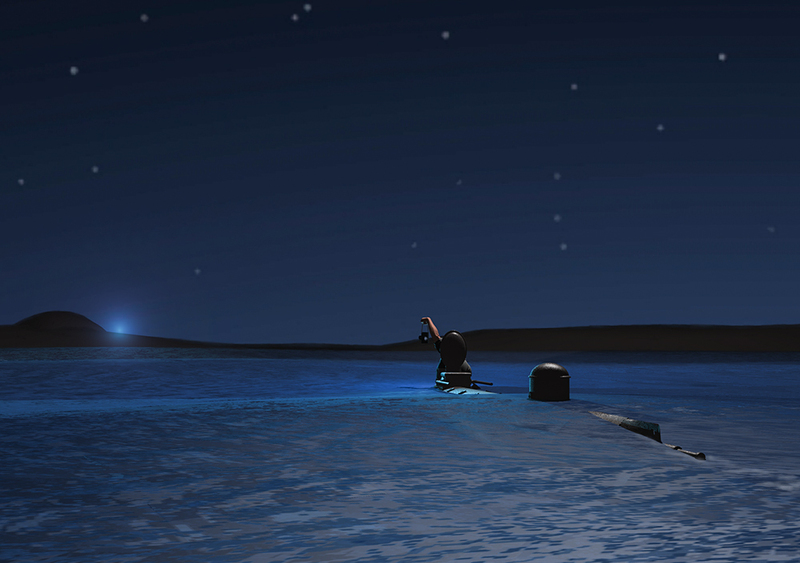 Instead, the submarine and crew disappeared into the darkness of the sea. Their fate became a mystery and their accomplishment a legend. The submarine would not see the light of day again for over 136 years.